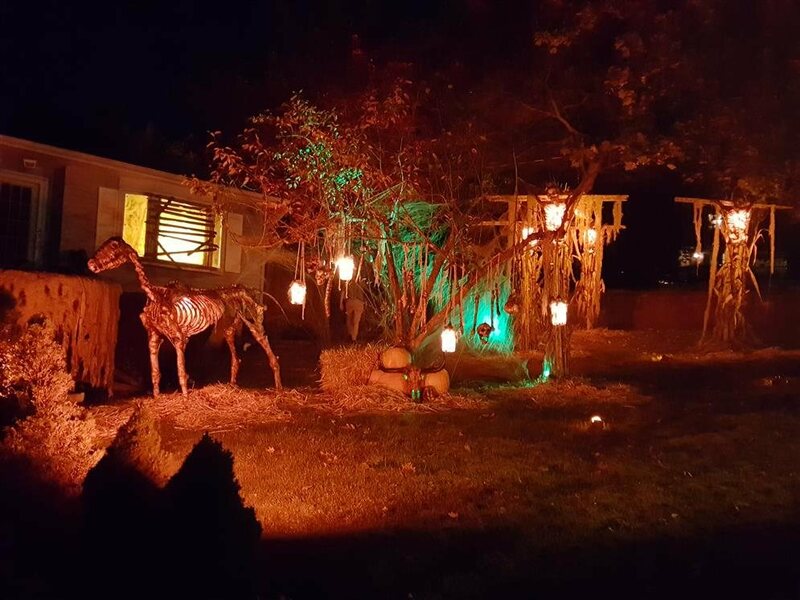 The Berkshire Horror House is a for charity home haunt lawn display attraction featuring custom made props, fully themed decorations, killer lighting, special effects, and a live monster. The theme of the haunt is centered around the Berkshire Wendigo and the lair in which it has inhabited for hundreds of years. Upon visiting the haunt, you can gaze upon the gruesome remains of the Wendigo's latest victims. On select nights, full special effect fog, audio, and acting will be used to give the house an even more haunting aesthetic.